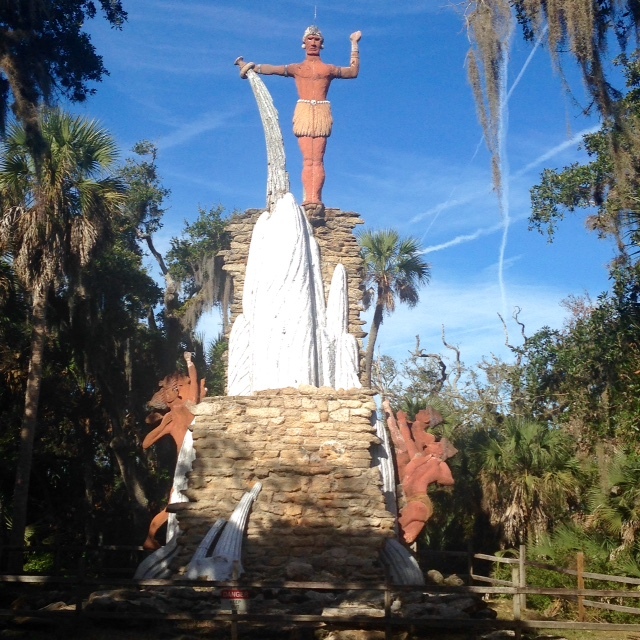 Road trip to Arcadia, Florida. We will be investigating "The Old Opera House." built in 1906 it is now operating as a museum and antique shop. It is said to have previously been the location of an orphanage that burned down. A few documented tragedies occurred at this location including, the death of a little girl and the suicide of a woman scorned. from Hide and Seek Paranormal Society, Merry Christmas to All ! Hide and Seek along with KY Paranormal Investigations will be doing back to back historical Jail investigations. September 16th we are traveling to the small country town of Jasper, Florida then on September 23rd we will be investigating in Ashburn, Georgia at the Old Ashburn Jail which is now the Crime and Punishment Museum. Join us on our Hide and Seek facebook page at www.facebook.com/hideandseekparanormalsociety this Saturday night. The team will be conducting a paranormal investigation at a private residence in Palm Coast. The family has seen full bodied apparitions, had lights go off and on, heard doors open and close, seen a swing move on its own and more! We will do some facebook live sessions during the investigation, starting as early as 7:30 pm. Ask the team questions and give us feedback as we work.... see you there! Join us as we welcome two new investigators to our team.. Hide & Seek is proud to introduce Jenny and Ed, please go to our team page and read their profiles. We have had a busy few months and conducted three different investigations. Two have been posted on our investigations page. December usually gives us a little break before it starts up again. We had a investigation in October and another big one November 18th to which I just finished reviewing all the video and audio on. Tomorrow I go to the homeowners house for the reveal. All of us here from Hide and Seek want to wish everyone out there a Very Merry Christmas!! Hide and Seek Paranormal Society will be revisiting a private residence in Flagler Beach, Florida. The homeowner wants us to see if her friend in spirit is still hanging around and she wants to find out more about the one she calls Oscar... Join us for a live interview with our newest investigator on our facebook page and enjoy our opinions and view as we investigate..
February 20th, 2016 we did a private residence investigation and caught the best evidence we've ever had. Please go to our investigations page and check it out.. Bunnell Florida Private Residence Investigation. ​Friday, December 11, 2015 our blog talk radio show Into The Shadows with Sisters 3 will be talking with world renown Bill Bean, best known as "The Spiritual Warrior!" He is the author of Dark Force, the haunting of the Bean family.. I read the book and couldn't put it down..
Our team along with Rhonda from HOTSS will be attending the Para Disney Conference in September... Looking forward to this conference! We had an awesome investigation in Dumfries, Virginia!! Strange paranormal occurrences started happening when major restoration began in 1974. We were given permission to investigate the property May 22, 2015. 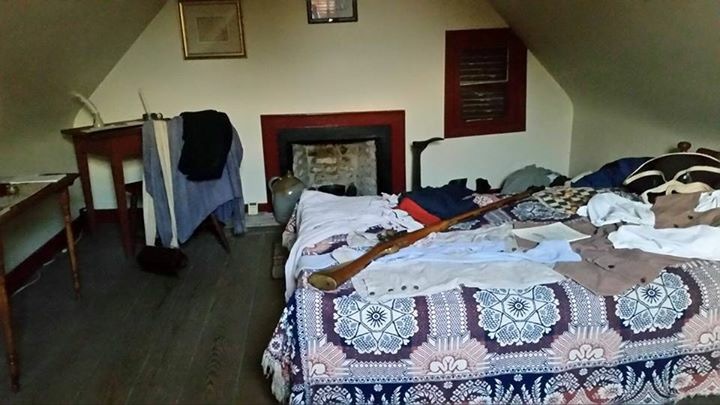 We did a day light investigation, during operational hours of the museum. We believe paranormal doesn't have a preference and things occur in the day time as well as they do at night. Our investigators had personal experiences during the investigation. Our guest investigator, Rogena Smith was partial to Mary's upstairs bedroom nearest the dining area and Hide and Seeks Teresa McLean was drawn to the second upstairs bedroom nearest the family room. She believes a previous border likes to roam and shows his presence in that room. Teresa observed a shadow slide across the floor under the bed, into a closet in the bedroom of Mary and the doorknob of that same closet jiggled. Our DVR system was damaged on the road trip to Virginia and could not be used to capture video simultaneously. Instead we had to use our laptop to capture video as we investigated each bedroom. The view was limited and we did not capture the shadow nor the doorknob jingle movement, but we could hear the knob on audio. We did get several EVP's from voice recorder and video audio from the laptop. We also got spirit box EVP's. The entire investigation is available for viewing on our YouTube channel. 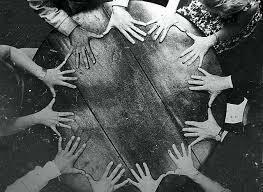 ​We were invited to attend a Seance. Never have been to one so we're stoked!! Not only that we are going to meet a husband and wife that we hope to become great friends with... 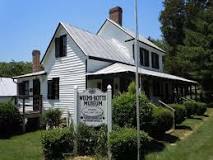 Thank you for this get together..
May 22, 2015 we will be investigating the Weems–Botts Museum in Dumfries, Virginia.. very excited about doing this investigation.. Private residence in Ocklawaha, Florida. Family was experiencing some unusual activity and we were invited by SEPI, our new friends from Ocala, Florida to join them on this investigation. My team feels the male spirit is a passed family member and harmless. We do think there was a female spirit present too and also harmless. They just wanted their presence known is all and the male spirit is watching over the kids. Check out the evidence I just posted from this investigation..
Coming soon ..... I have decided to add tarot and psychic readings to those who wish to have one. Please contact me to set that up.. I've done personal readings for many years and I'm extremely gifted. Hope everyone is having a great start to the New Year. We got new equipment, flyers, cards, t-shirts, hats and more.. Now it is time to get out there and get noticed.. If any of the other Florida teams get a change to contact us we would love that.. We want to make lots of friends with other groups and so far we have made a few face book contacts with other groups out there which is exciting.. It sure is tough being the new kid on the block.. so help us out and call us..
H.A.S.P.S. is seeking investigators or technology gifted persons to join our team. We are a sister team to CTPS in Texas and we are experienced investigators. We have a sensitive on our team. Other sensitives willing to join the team would be enthusiastically welcomed. Please complete the contact form available on the contact page. You can also send Teresa an email, link provided on the bottom of our Welcome page. Thank you, and we look forward to hearing from interested investigators. We will contact you promptly to set up an interview.